My family has always frequented Florida as this is just one of those states that even when its raining, its still beautiful!! This would make for a great getaway for anyone!! Disclosure: I received no compensation for this publication. 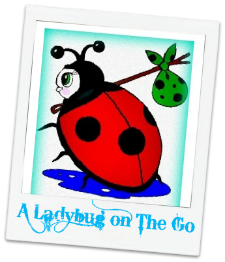 A Ladybug on the Go is not responsible for sponsor prize shipment. Please contact Alice Kingsleigh with questions! If your a blogger that would like to host a vacation giveaway please visit www.AliceOnVacation.com. This giveaway is no way sponsored, endorsed or administered by, or associated with Facebook, Twitter, or Pinterest. I never get any private time anymore and I really need some quiet time.